Is this test verifying that a notification notification of a notification pops up on every page? I can verify that it does. It does. My pop-up notifications tell me I've blocked pop-up notifications. So I'm good. The test is a lie. Ní post i mBéarla é seo. Klopt, maar met Google Translate kun je die Ierse zin gemakkelijk vertalen. Test Received ... fear I did not do so well ... please keep my score hidden. It is a Dutch running gag to make literally translations from Dutch into English and create weird sentences that way. 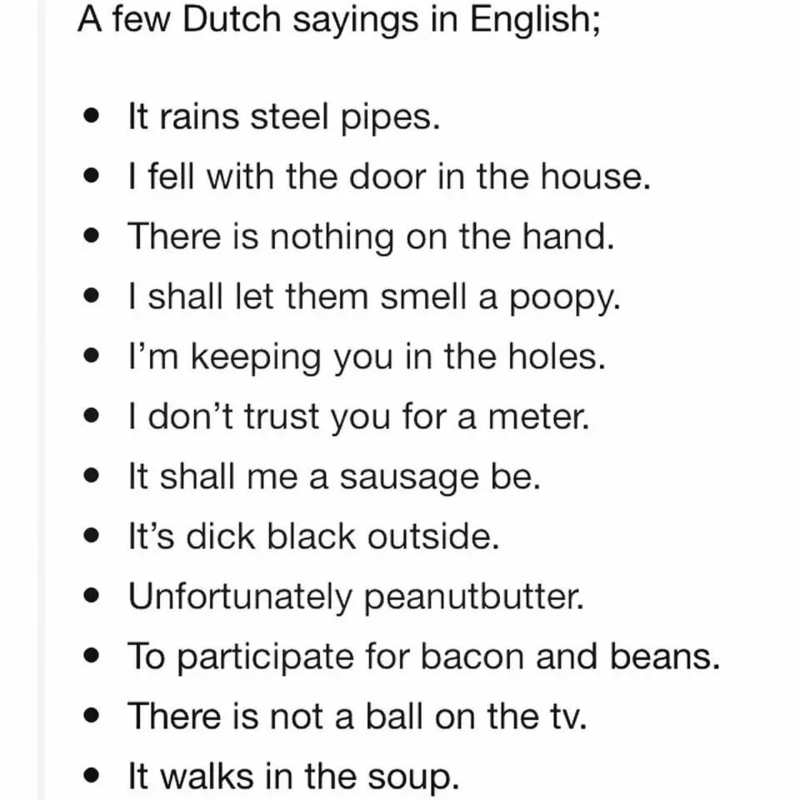 I guess you have to know enough Dutch to understand the fun of these sentences. So for non Dutch/Belgium readers these are mainly unfortunately peanutbutter. Another source of Engrish, only intentional. We need a peanut butter brand called Maith Liom. They only use unshelled peanuts, so it's a very crunchy peanut butter.